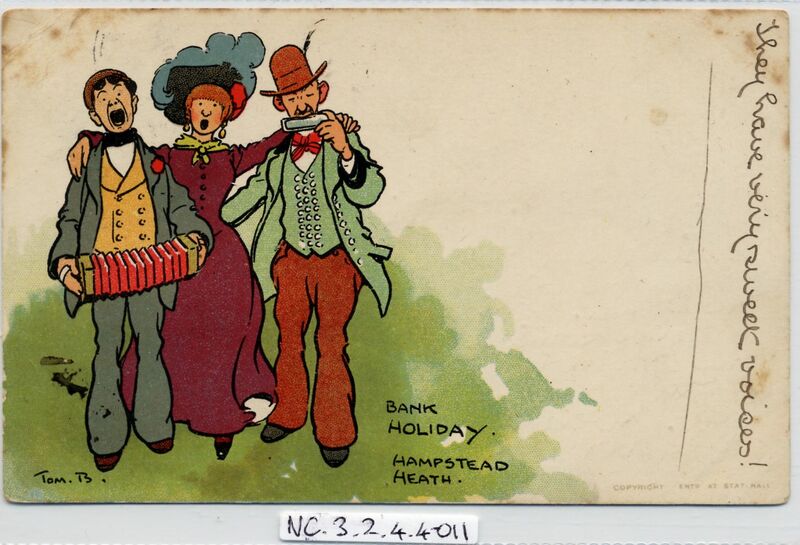 Full Description: A good Tom Browne humorous post card, with three joyful cartoon holidaymakers singing, with concertina and mouth-organ, on "Hampstead Heath - Bank Holiday". A Davidson Bros card, by Tom Browne RIBA, Serie 2518. Divided rear, postally-used 16th September 1903.